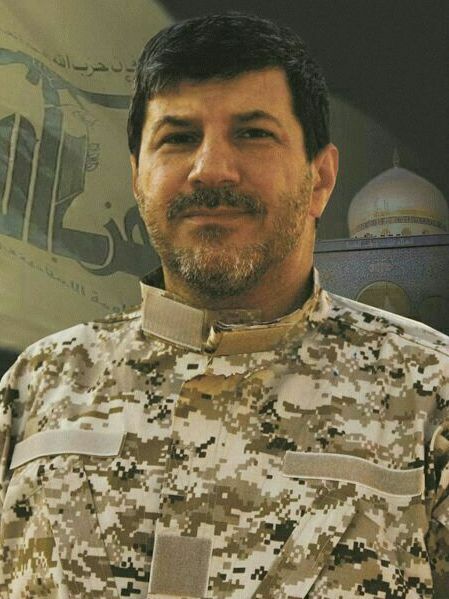 Hezbollah Commander Dies In Attack Outside Beirut Home : The Two-Way Hassan al-Laqis was reportedly a veteran commander with expertise in technology and intelligence. Hezbollah blamed Israel for the killing, but Israeli officials denied the claim. Hassan al-Laqis, described as one of Hezbollah's founding members, was killed in an attack outside his home in Beirut. He's seen here in a photo released Wednesday by the Hezbollah Media Relation Office. A veteran Hezbollah commander with expertise in technology and intelligence was assassinated Wednesday in Beirut — a killing the militant group blamed on Israel. Israeli officials denied involvement in the death of Hassan al-Laqis, who was reportedly shot in a parking lot outside his home. "Laqis was an elite member of Hezbollah's military wing and for many years served as Hezbollah's technology and arms chief. He also maintained extensive contact with Iranian and Syrian intelligence," Israeli newspaper Haaretz reports. "He was known to Western intelligence since the 1980s and was considered very knowledgeable of the secrets of Hezbollah's operations." Security officials in Lebanon said "assailants opened fire on al-Laqis with an assault rifle while he was in his car," according to a report from The Associated Press. He was rushed to the hospital but did not survive. "The Israeli enemy is naturally directly to blame," Hezbollah said in a statement released soon after the attack, as Al Jazeera reports. "This enemy must shoulder complete responsibility and repercussions for this ugly crime and its repeated targeting of leaders and cadres of the resistance." The statement drew a denial from Israeli Foreign Ministry spokesman Yigal Palmor. A slightly different version of events comes from Lebanon's Daily Star, which reports that at least one gunman used a silenced 9mm gun to shoot al-Laqis as he parked his green Cherokee in the parking lot. The Lebanese newspaper also said that a little-known group, the "Free Sunni Brigades in Baalbek," claimed responsibility for the attack on the Shiite commander via Twitter. That claim hasn't been substantiated. "The open role of Hezbollah fighters in the Syrian civil war, combined with a steady flow of Lebanese Sunnis joining the anti-Assad rebels, has fueled sectarian strife in Lebanon," reports The Jerusalem Post, citing recent bombing attacks. The AP said that in announcing the killing, Hezbollah described al-Laqis as "one of the founding members of the group, suggesting he was a high-level commander close to the Shiite party's leadership." The news agency adds that an "official close to Hezbollah said al-Laqis held some of the group's most sensitive portfolios and was close to the group's leader, Sheikh Hassan Nasrallah."